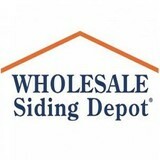 Wholesale Siding Depot is an exterior building products supplier locally owned and operated by the Krisanic family since 1996, having four family members involved in the business—Julius, Carl, Chris and Michael. While customer service is our #1 goal, we are committed to leading the industry in the St. Louis Metro and surrounding area with training and knowledge about our products and services. Our selection of exterior products includes the best of the best in siding, windows, doors, decking, railing and much more. Our management team and customer service group has over 100 years of combined experience in exterior building materials. We have professionally been involved and witnessed the development and improvement of a diverse range of exterior building materials. This experience has instilled a strong respect for long lasting, durable, high-quality building materials. For that reason we carry only superior performing building materials, making those products affordable to our customers. 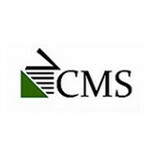 CMS Roofing & Exteriors is a Residential, Single Family, Exterior Remodeling Company. We work with individual home owners on the exterior renovation of their homes. CMS Roofing & Exteriors successfully provides construction solutions with creativity, integrity, and quality, delivered with excellent customer service. We focus on communication and the customer experience, listening and identifying our customer’s needs to provide tailored solutions to each project with the goal of exceeding time and budgetary requirements. Contact us today for your next project! Gateway Exteriors was founded in 1982 by Chuck Koehler with the goal of becoming the area's top home improvement company. Since then, we have established an outstanding reputation in the community and have become known for the exceptional quality of our work. We are very proud to have a team of the most experienced and dedicated employees. Furthermore, we guarantee the job is not complete until both the customer and the business owner are 100% satisfied. Siding Express is a St. Louis Metro area Siding Installation Contractor who is educated very well on all aspects of Maintenance Free Siding. We are experts on the James Hardie Siding Material Product Line. We believe in recommending and installing ONLY the best products for your siding installation project. The Siding Express Difference: Fixed Bid Guarantee … confidently offered on every project we bid. Competitive Pricing … we encourage clients to get three bids to ensure they’re getting the best solution at the best price, which they quickly learn is with Siding Express. No High-Pressure Sales … we’re not sales people, we’re experts in James Hardie siding. We won’t pressure you to “sign today or miss your good deal.” It’s a good deal whenever you’re ready to sign. Visualize your Project … our software allows us to take a photo of your home and show you how the siding and exterior will look so you can make educated decisions on color and style. Technical Expertise … there’s a science to building, and when you modify your home with new siding, windows, and other components, your indoor air quality can be negatively affected if not done right. We engineer the right solutions for the best look and best possible air quality. 100% Customer Referral Rate … Siding Express gives clients confidence and value. With our Fixed Price Guarantee, lifetime warranty, and technical know-how, they know they’ve made the right choice and are willing to tell their friends. EPA Certified Lead-Free Installer … we’ve undergone extensive training and have been certified to handle and properly dispose of lead-based materials, which is very likely present if your home was built before 1978. Most contractors don’t have this certification. Safety First … we’ve developed a comprehensive safety manual for our crews, and have independent inspections of our jobsites to monitor our safety practices. Clients for Life … Siding Express is with you for today and the future. We build relationships, and live out our passion for providing the best maintenance free siding and exterior solution for each home. Siding Express clients do their homework, and choose us as their home remodeling contractor. When it’s time for your exterior remodeling project, make Siding Express your last call. We offer start-to-finish solutions for every project. We specialize in windows, siding, fencing, and decks. Our goal is for you to be satisfied and very happy with the process. Banner Construction Co. was founded in 1993 with the dream of becoming the most reliable and dependable remodeling contracting business in the St. Louis area. After over 20 years of hard work, we have become a strong and solid fixture in the marketplace due to the combination of our exceptional workmanship and nationally branded products. We pride ourselves in using only the best high quality products from the most trusted names in the industry such as Mastic, Simonton, and James Hardie. That now includes Beechworth Windows; James Hardie’s sister company. With over a combined 140 years of experience, the department heads here at Banner know the industry inside and out. They work closely together to make sure that everything gets done correctly in the most efficient way possible. We have worked on over 8,000 homes and continuously keep striving to make our customers’ dreams come true. Simply put, we have stayed in business over the years because of one thing… You the Customer. Our customers come first and we do our absolute best to fulfill your needs in the most efficient, reliable, and honest manner possible. Unfortunately, the remodeling and home improvement industry can be risky and unpredictable. Choosing the right contractor is the single most important factor when planning a remodeling project. We are a stable and dependable source that takes the risk out of the equation and makes improving your home an exciting and rewarding experience. We pledge to look after our customers. We understand that you are the bosses and that we work for you! We enjoy bringing your dream to life and are proud of all the things that we have accomplished over the years. The concept behind our business is nothing fancy, just old-fashioned American beliefs. Lakeside Exteriors is the siding contractor and replacement window company St. Louis trusts to provide top quality products and first-rate service. We are the only St. Louis siding contractor to achieve the prestigious James Hardie Siding “Preferred Remodeler” status. Our goal is to help make your home more beautiful, comfortable and energy efficient, all while delivering a home remodeling experience that is enjoyable and stress-free. Home Improvement: Windows, siding, doors, decks and more! Veteran owned and operated full service exterior home remodeling company. We have over 20 years of experience with James Hardie siding products, and specialize in high-end finishes. We offer the best value for your dollar because we keep our overhead as low as possible. Our business model allows us to provide the best craftsmanship for the price. The highest quality for a better deal, guaranteed! Welcome to CUSTOM DISCOUNT EXTERIORS, the Maryland Heights area’s authority for premier exterior remodeling since 1991. Tome Priester, owner has been in the home remodeling business for over 25 years including 15 years with a large regional company. CUSTOM DISCOUNT EXTERIORS was established in 1991 and the office and warehouse have been in the same location since the beginning. Triton Exteriors is a family owned exterior contractor in St. Louis, MO. We provide roofing, siding, gutter, and window installation and repair. By providing personal service, and doing exterior renovations the right way, we make home improvement easy. We take care of you and your home. It's that simple. We are a family owned business located in the St. Louis area. We offer tuckpointing and chimney repair services! We are a full service remodeling company fully insured and licensed. Located in the City of St. Peters MO. servicing all of St. Charles and St. Louis County's specializing in the sales, installation and service of premium quality building products for residential and commercial jobs. All of my crews are top notch professionals specilizing in their each individual trade. Our ratings in the community and the BBB (314-645-3300) are as good as it gets. With 30 + years experience we get the job done right! A company known for its "Trust and Performance." With over 35 years of combined experience in the construction field, Covenant Contracting has strived to go above and beyond for each of our clients. Our Christian-based company practices the principles of Honesty, Integrity, Knowledge, and Reliability. The result from these core values is satisfied clients and continued success through the best advertisement possible: word of mouth. We promise to provide the best project management, quality control, and customer service to you and deliver the safest, most cost efficient solution possible to give your project the care, professionalism, and attention to detail that it deserves. To learn more about our services give us a call today or visit us online. We look forward to serving you! What types of siding services do Town and Country exterior contractors provide? Wood siding needs more maintenance than less-expensive, low-maintenance vinyl siding, but with proper care it will outlast vinyl siding, which can fade and crack over time. Your Town and Country, MO contractor might also suggest fiber cement siding, which is fire resistant and termite-proof and can come with a warranty of up to 50 years. Find siding and exterior contractors in Town and Country, MO on Houzz. Narrow your search in the Professionals section to Town and Country, MO siding and exterior contractors. Find out how long a Town and Country, MO exterior remodeling contractor has been in business, view portfolios, read reviews and get contact information.